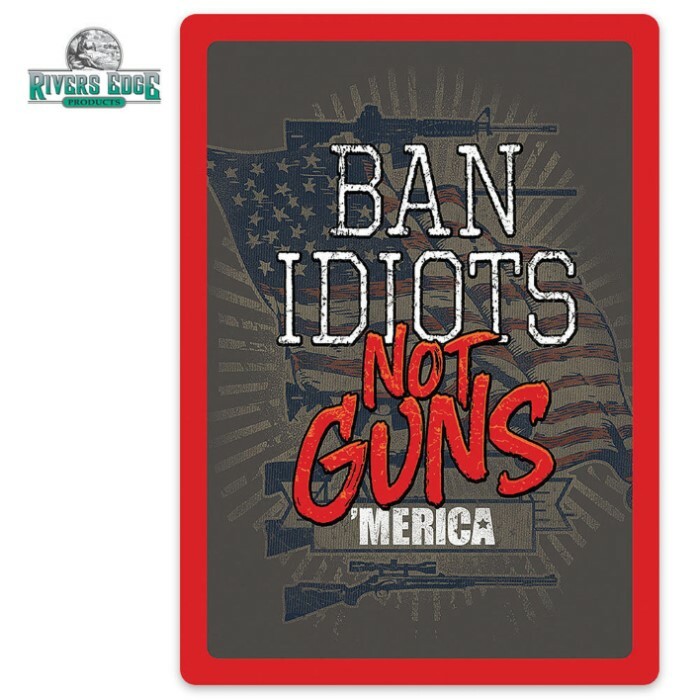 Ban Idiots Not Guns Tin Sign | BUDK.com - Knives & Swords At The Lowest Prices! Get your message out loud and clear with the Ban Idiots Not Guns embossed tin sign. It has a durable, weatherproof finish and features rolled edges. A clear removable hang tab is included and the sign has pre-punched corner holes for mounting. Its dimensions are 12”x17”.